Every summer, children under 18 can get a free breakfast and lunch from New York City at over 300 locations city wide, no questions asked. Children do not need to show registration, documentation, or an ID to receive their meals. Free lunch and breakfast will be handed out at hundreds of NYC public pools, parks and schools. Just call 311 or 1-800-522-5006 and ask where you can find free meals. Or text “any meals” to 877-877. The operator will ask for an address or even an intersection, such as the corner of Flatbush Avenue and Avenue L. They will then give you a few places you can go. The food, they promise, will be "delicious sandwiches, tasty salads, fresh fruit, cold milk." It's for kids from infancy to age 18, regardless of income, school status, or whether they have ID. No papers are required. Breakfast: 8:00 a.m. - 9:15 a.m. Lunch: 11:00 a.m. - 1:15 p.m. The SchoolFood Lunch Program offers children and young adults with a healthy alternative to junk food. Lunch is available for all children under 19 years of age and all handicapped persons, regardless of age, who participate in special education programs. Breakfast will be served during the Learn to Swim Program at pools in Brooklyn, the Bronx, Manhattan, and Queens. 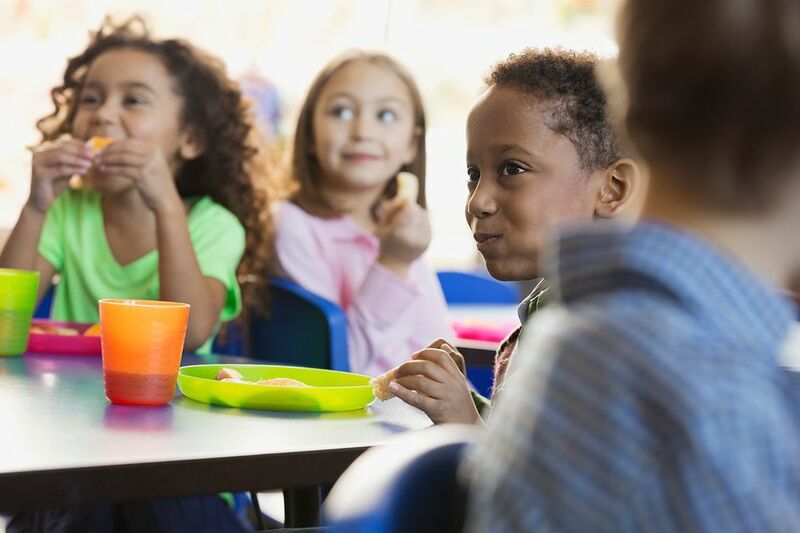 Free meals provided by the U.S. Department of Agriculture (USDA) through SchoolFood, a part of the New York City Department of Education.